If there is one thing we are seeing more and more off, its sound bars. Televisions just don’t cut it with their sound systems any more, and a secondary sound system is becoming an essential part of any good home media kit. Maxell have already been on the market with their sound bars, in fact we looked at the Maxell MXSP-SB3000 a little while back. 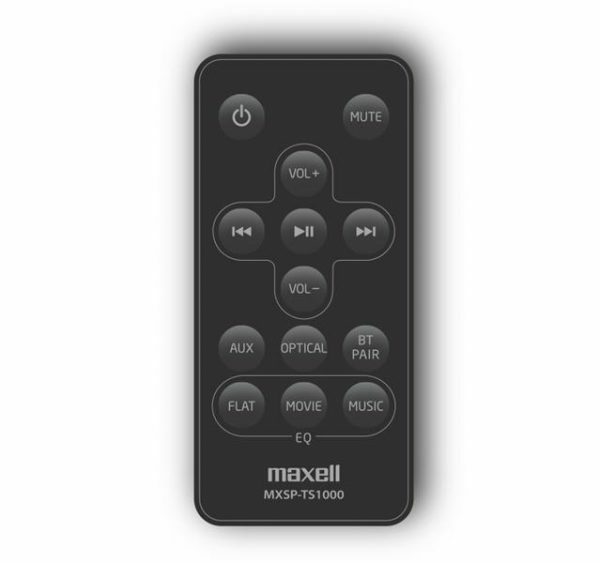 Maxell are back with more, and one of their offerings is the MXSP-TS1000. 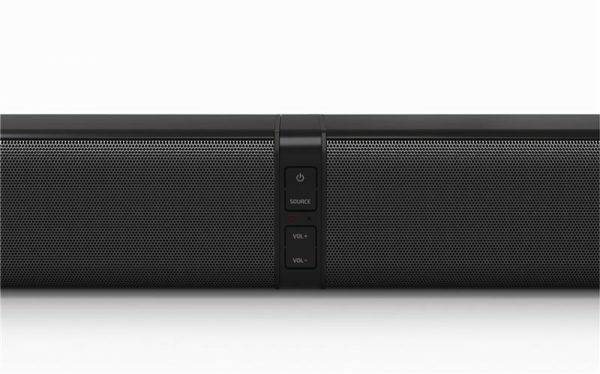 This clever device provides you with a split soundbar, saving space and giving you two different orientations depending on how you want it to work. 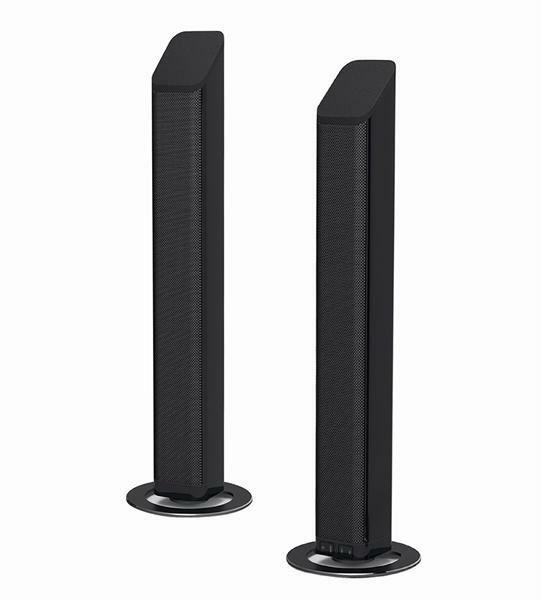 You can either have the two speakers in tower configuration, with the left and right separate, or you can combine them together to give yourself one horizontal bar. It retails for about £120. Out of the box, you get two speakers, laid out horizontally, a couple of sands, a remote and some feet for horizontal orientation. The speakers look and feel similar, though one has buttons and ports on it, while the other is obviously the slave. 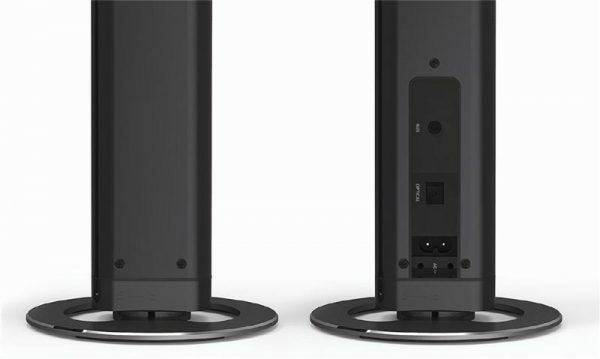 The speakers offer a small space saving profile, meaning in tower mode they sit perfectly at the side of your television, or just in front when in horizontal mode. The build and feel isn’t premium, but it doesn’t feel cheap either. Somewhere in the middle. A fabric mesh hides the speakers. The speaker feature 4 buttons and two LEDs, that allow you to control most of the functionality. It is clear from the above picture, that the buttons were definitely designed for the horizontal mode rather than the vertical/tower mode. At the back of the master speaker is the AC in, an optical port, and an AUX in port. While an optical lead is not included, an RCA to AUX is, so you should be good with most televisions. Also included is a remote control. Sadly it is one of the smaller dinky types, that often get lost, but have somehow become very common with soundbars and similar. The buttons take a bit of pushing though, but give a reasonable enough feedback. It adds to the feature set already offered by the soundbar, giving you music control, ability to pick your source, and the ability to adjust equalizer settings. How easy is it to go from horizontal to vertical and back again? A simple twist in and out is all it takes to convert it from horizontal to two separate speakers. When horizontal, it pairs together through connectors built in to the speakers, though there is an exposed bit of PCB which may or may not be a good thing depending on the environment. Once separate, you can mount the two speakers on the stands provided. The stands have different ends that pair with each speaker, so you won’t mix them up. The stands have the bit of exposed PCB as well, which serve as connectors. On the stand, the setup is really stable, so you don’t have to worry about it being knocked off easily. A cable then connects the two together to give you sound. Taking it off is equally simple. You just reverse the same twist and turn procedure to take them off the stands, and put them together as horizontal setup again. You have three music sources, AUX, Optical and Bluetooth. I tested all three, though I used Bluetooth for doing most of my sound tests. It is the most convenient! So, how good are these speakers? For a couple of 20W speakers, or 40W in total, they pack in a lot of punch in terms of volume. What is missing sorely is some bass though, but that is what you get for this kind of price and functionality. The different equalizer settings make a bit of difference, with Flat giving you unfiltered sound, Movies giving you a bit more bass heavy sound and Music giving you a more balanced output. I shifted between the three, and settled on Movies, probably because I was missing the bass. Overall though, the volume, as I mentioned, is high enough for most televisions as well as playing some good quality music in parties too. Sound may not be as smooth as some of the higher end speakers, but having tried listening to Rock, Classic as well as pop, and I don’t have much to complain about. As far as television goes, most sound comes out fine, and while you wish action movies would pack in more of a thunder, we already know the limitations there. It retails for around £120, and is available from the likes of Tesco and Sainsbury’s. Highly functional, reasonably priced and loud, this ticks most of the boxes. Next story Wireless Internet Speed on an all time high – only to get higher!